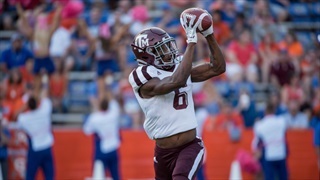 Despite some shuffling on the line and limited play for the starters, the Aggies put together a balanced offensive performance against NMSU, and several key backups made significant contributions. 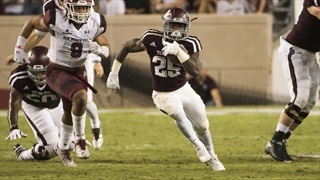 The Aggies were short on options at running back in 2015 and allowed Tra Carson to bear the bulk of the burden. 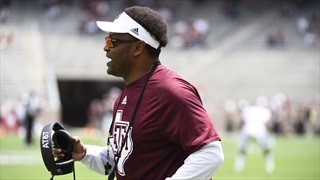 Heading into the fall, an influx of young runners has changed the way running backs coach Clarence McKinney can handle the position in 2016. 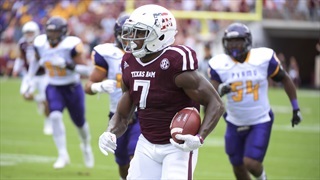 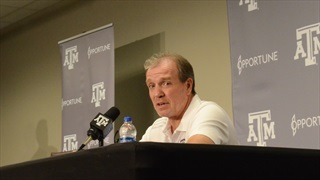 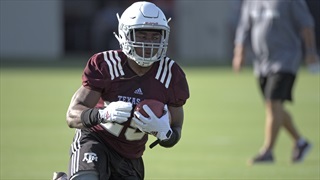 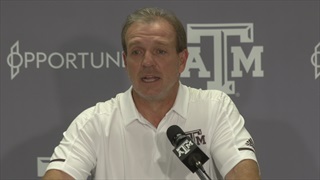 Wednesday marked the halfway point of Texas A&M's first week of Fall Camp, and the Aggies are trying to figure out how to split carries at running back this year. 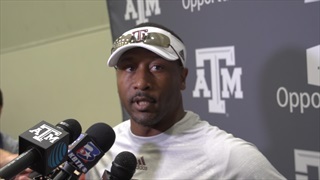 Aggie running backs coach Clarence McKinney and RB Kwame Etwi talked to the media after practice. 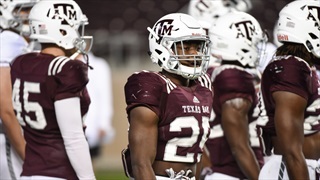 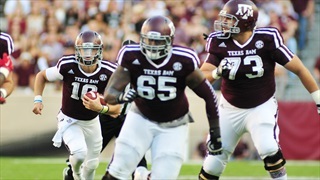 Long gone are the days of Texas A&M relying on Tra Carson and little else. 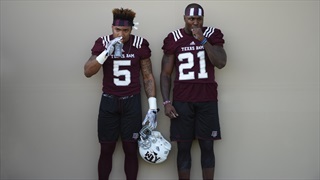 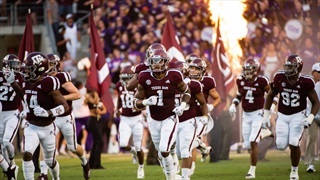 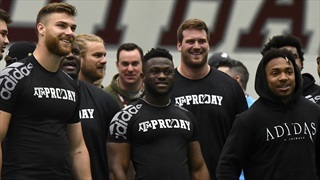 With the addition of Keith Ford and two stellar freshmen, the stable has been re-stocked — and the Aggies' primary concern entering the fall may only be exactly how to share the load. 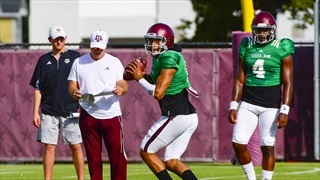 Myles Garrett, Daylon Mack and Christian Kirk are special players — nothing Texas A&M's Friday scrimmage demonstrated contradicted that. 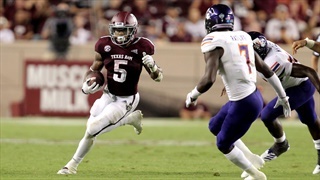 However, the showings by several other Aggies and their potential implications were the story of the night. 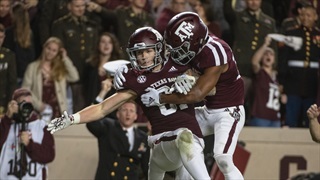 When it came to Texas A&M's offensive performance on Saturday, the quality of the opponent mattered little. 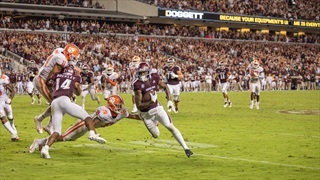 What the Aggies managed to display in a systematic picking-apart of Ball State was something it will transition to the remainder of the season.